What makes FranchiseMailer™ unique, is the power it provides a Franchise Head Office the ability to control their brand and messages, while allowing the franchisees the flexibility to make their own choices. Franchisees can either choose to use a pre-designed template via the shared central template library, or build their own campaigns using our state-of-the-art drag and drop editor while maintaining the companies branded design, style and colours. We've made it easier to create email campaigns with our new drag & drop template editor. Easily layout, design & customize your own campaigns without any need for previous experience. The ingenious main feature to our editor is that all the brand style, fonts, images, buttons and layout of the franchisee branded template is replicated each time a change is made or a new template is created. 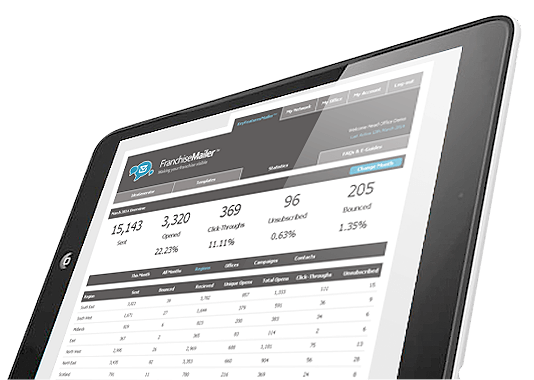 Measure the franchise networks success by viewing a full range of comprehensive reports on all key areas from opens and clicks to bounces and unsubscribes at a national, regional ad local level. Our dedicated team has years of experience working with franchisee companies and we are able to offer our collective knowledge and help you and your franchisees achieve maximum exposure. Templates that have been approved, can be shared with the network via the central template library. 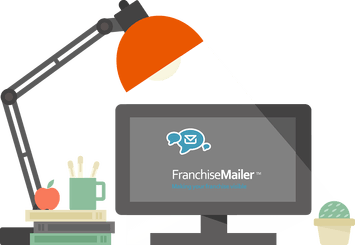 FranchiseMailer™ is completely cloud based which allows you to access it from anywhere at anytime. We know the return on investment will speak for itself which is why you are never tied into any contracts. We will brand the system to your identity so it becomes an extension of your digital business solution. 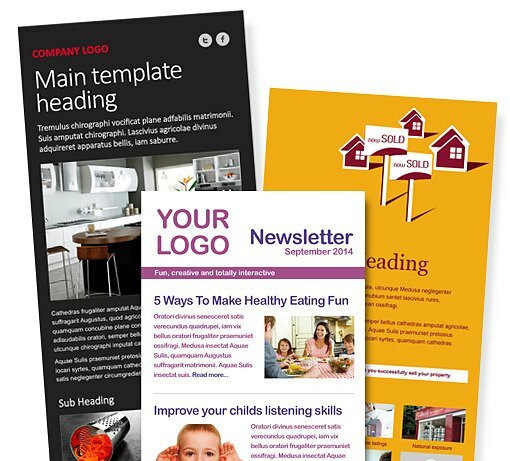 Create and build new email templates in your brand style and colours to share with the franchisee network. Our experts will advice and guide your franchisees to the benefits of email marketing. "This is an extremely powerful marketing tool for such a small cost and requiring the minimal amount of staffing resources"